Christina Springer from the Hill District team wrote these words in the week leading up to their performance. We share them here as an afterword, and a preparation for more reflection to come. You can also see photographs from the Hill District performance (as well as the other two performances) by [clicking here]. “W h e r e a r e y o u? 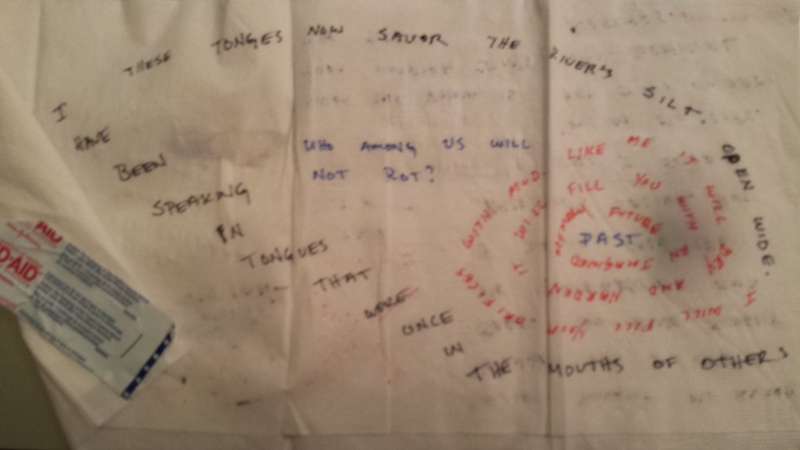 been speaking… in tongues that were once in the mouths of others. ~ an amputated limb itching ~ now. remember. now. now. feel me. now. remember. I carried you. lest they become infected by scratching off the present. 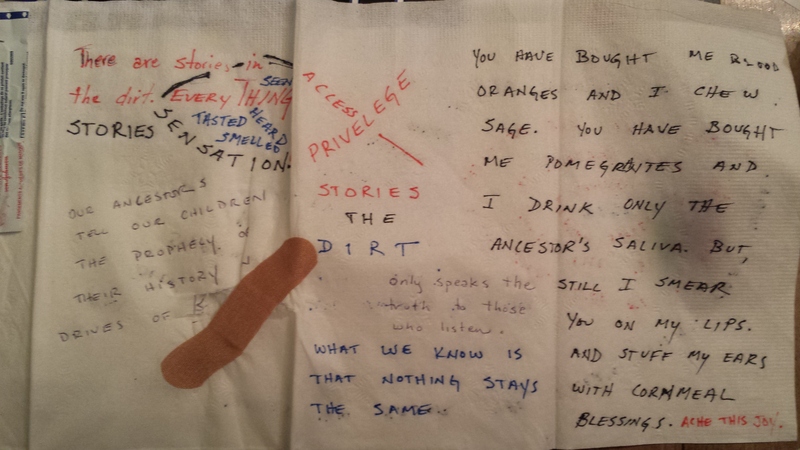 This entry was posted in From the Artists, Participants, Spaces and tagged artists, Christina Springer, dirt, Hill District, language, memory, poetry by Cory Tamler. Bookmark the permalink. Join the Second Steel mailing list by clicking here. In addition to project updates, you'll get information about artist calls in the city, nationally, and internationally; other events related to space use, urban issues, and public performance; and all the cool Pittsburgh-related stuff we run across.